What is Trowel of Excellence Certification? 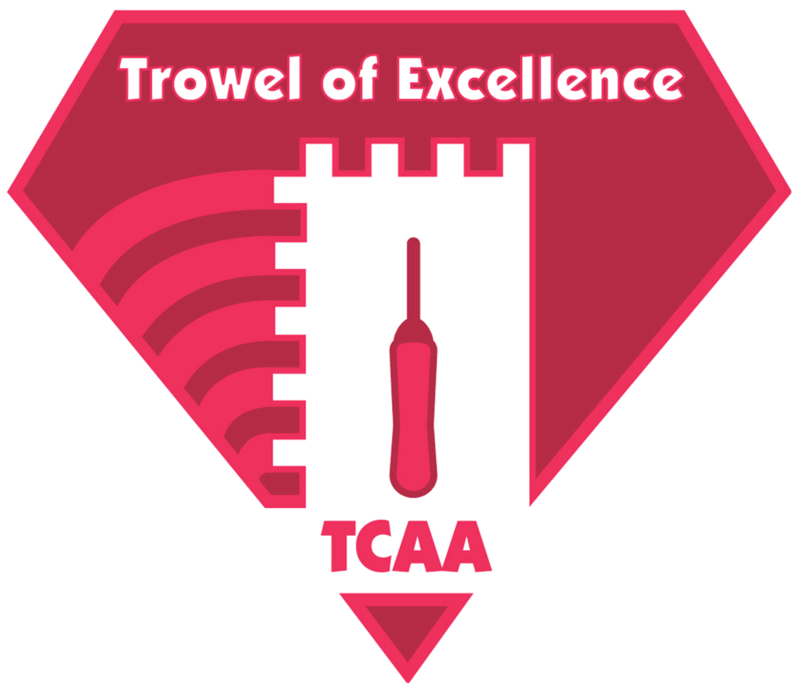 The Trowel of Excellence Certification verifies that a TCAA member tile/stone installation contractor/company consistently performs the highest level of quality installations, demonstrates integrity and superior business practices and is committed to the betterment of the ceramic tile industry. Trowel of Excellence certification resides with the installation company. What are the requirements for Trowel of Excellence Certification? Who determines if a Trowel of Excellence application is approved? Applications are reviewed by the TCAA Board of Directors which makes the final determination. What is the duration of Trowel of Excellence Certification? Certification is valid for 3 years, after which the contractor must submit a re-certification affidavit along with the re-certification fee. Is there a deadline for submitting a Trowel of Excellence application? Applications may be submitted at any time. Typically, a contractor will receive notification if the application is approved within four weeks of submission. It Pays $$$ to be Trowel of Excellence™ Certified!